The successful Spanish coach Manolo Cadenas is no longer a coach of Meshkov Brest. The best team of Belarus and coach who had dual function in Argentinian national team, decided for handshaking after ending of EHF Champions League and SEHA Gazprom League campaign in current season. The best team of Belarus repeated last year’s success by qualifiing for the knock-out phase of the EHF Champions League, where SG Flensburg Handewitt were simply too strong in the battle for quarter-final. 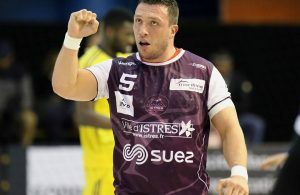 The host team of SEHA Final4 ended regional competition on the third place after defeat against RK Vardar at semi-final in front of home fans at “Viktoria” hall in Brest. His assistant Raul Alonso will stay in the team to try to ensure domestic title in Belarus. Next Story → Portugal smash France!